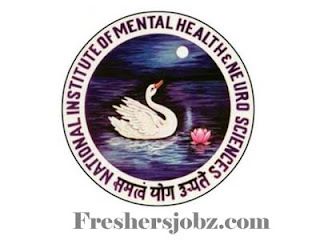 NIMHANS Bengaluru Notification 2018.National Institute of Mental Health & Neuro Science(NIMHANS), Bengaluru has released a notification for the recruitment of Group – A, Group – B and Group – C vacancies.Check the eligiblity and notification prior to apply for the positions. Qualification: Matriculation/ SSLC, ITI, Bachelors/ Masters Degree, PG Diploma, Diploma, Ph.D. with relevant experience. Selection: Based on Skill Test, Written Test. Last date for receipt of filled in application: 12.11.2018.